For a profile of a Chicago neighborhood or suburb please click on one of the links below. You can also request additional area information if you have additional questions or if we do not have a link for an area of interest below. 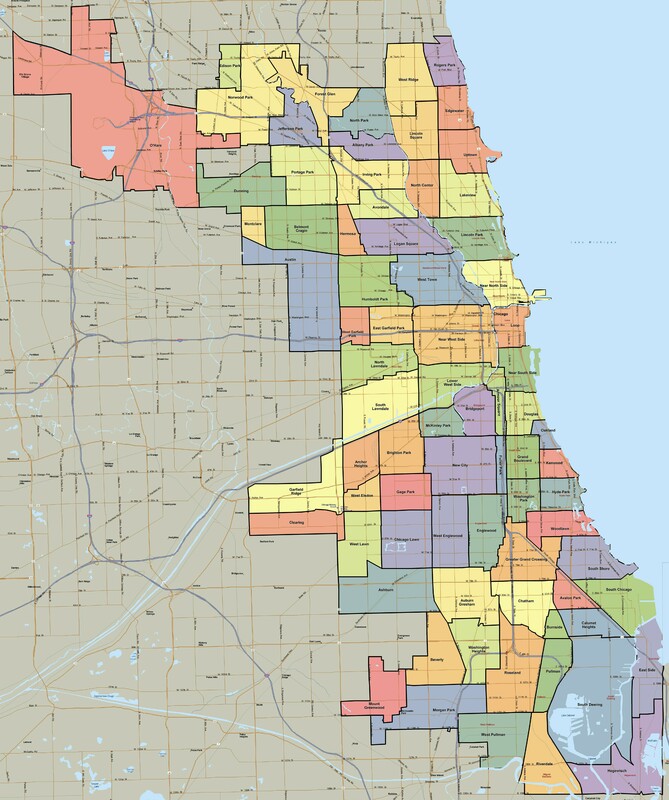 Chicago is divided into 77 neighborhoods*, each of which contains one or more census tracts. You can click on the Chicago neighborhood map below in order to see a much bigger and more detailed version. *Actually these are the 77 Chicago community areas, which are precisely defined. Most people refer to them as "neighborhoods" so we have adopted the same terminology here. However, the term neighborhood is also interchangeably, and more appropriately, used to describe smaller areas, the boundaries of which are often debated. For example, Wicker Park, Ukrainian Village, East Village, and Noble Square are all neighborhoods contained within the West Town community area. The map below shows many of these unofficial neighborhoods across Chicago.